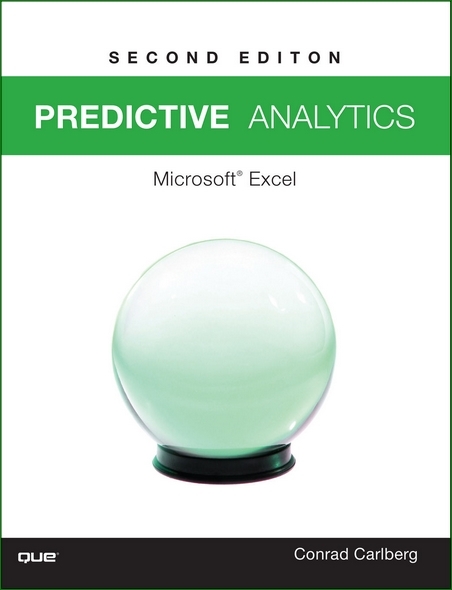 Now, you can apply cutting-edge predictive analytics techniques to help your business win-and you don’t need multimillion-dollar software to do it. All the tools you need are available in Microsoft Excel 2016, and all the knowledge and skills are right here, in this book! Fully updated for Excel 2016, this guide contains valuable new coverage of accounting for seasonality and managing complex consumer choice scenarios. Throughout, Carlberg provides downloadable Excel 2016 workbooks you can easily adapt to your own needs, plus VBA code-much of it open-source-to streamline especially complex techniques.